Saint Luke’s theology of stewardship is well-documented. But it is also well-known that an understanding of Saint Mark’s theology of Christian discipleship in the second Gospel is necessary in order to understand Luke’s views on stewardship. Hence, Mark’s views on discipleship as well as his stewardship of Saint Peter’s memories, make him an important stewardship saint in his own right. According to the Acts of the Apostles, Mark’s mother, Mary, owned a house in Jerusalem in which the earliest Christian community gathered. After visiting Jerusalem, Paul and Barnabas took Mark back with them to Antioch. Mark assisted them in their evangelization efforts in Cyprus, but upon their arrival by ship in Perga, he left them and returned to Jerusalem. Later, after returning to Antioch, Paul and Barnabas had an argument over Mark. Barnabas wanted to take Mark on their next missionary journey, but Paul objected on the grounds that Mark had not persevered on the previous journey. Accordingly, Barnabas took Mark back to Cyprus, and Paul set out for Syria and Cilicia with Silas. In the letter to Philemon, Mark is mentioned among Paul’s fellow workers. When Paul was held captive in Rome, Mark was with him, giving him “comfort” (Col.4:10). In the same verse, Mark is mentioned as the cousin of Barnabas, and the Christians at Colossae are urged to offer hospitality to Mark if he should come there. Elsewhere, Timothy is asked to bring Mark to Paul, since he is useful for the apostle’s ministry. The first letter attributed to Peter, written in all likelihood from Rome, mentions Mark as the “son” of Peter, a term either of simple affection or an indication that Peter was Mark’s father in the faith. Mark’s presence in Rome with Peter would be consistent with the tradition that Mark was the steward of Peter’s memories, taking copious notes of Peter’s reflections on Jesus’ teaching and deeds. This tradition comes from the early Christian historian Eusebius, who also wrote that Mark was Peter’s “interpreter.” Many scholars believe that Mark wrote his Gospel while in Rome, although another tradition suggests that the Gospel was written in Alexandria. Saint Mark is the patron saint of many groups including lawyers, notaries, secretaries, painters, pharmacists and interpreters. He is also the patron saint of Venice and Egypt. His traditional symbol is that of the winged lion and his feast day is April 25. Bethlehem and is described as being a descendant of King David. Mary was betrothed to Joseph, but was pregnant with the Christ child before Joseph took her into his home. According to Jewish law at the time, Mary could have been stoned to death if she was believed to have been unfaithful to her betrothed. An angel of the Lord told Joseph to take Mary into his home, that the child was conceived through the Holy Spirit, and that his name would be Jesus. After Jesus’ birth at Bethlehem, in yet another dream, Joseph was told to take Mary and Jesus to Egypt and remain there until Herod’s slaughter of newborns had come to an end with Herod’s own death. Joseph, Mary, and Jesus returned to the region of Galilee and settled in Nazareth where Joseph taught his craft of carpentry to Jesus. Joseph is last mentioned in the Gospels when, on their pilgrimage to Jerusalem, he and Mary frantically searched for the lost Jesus in Jerusalem, and found him in the Temple (Luke 2:42–52). 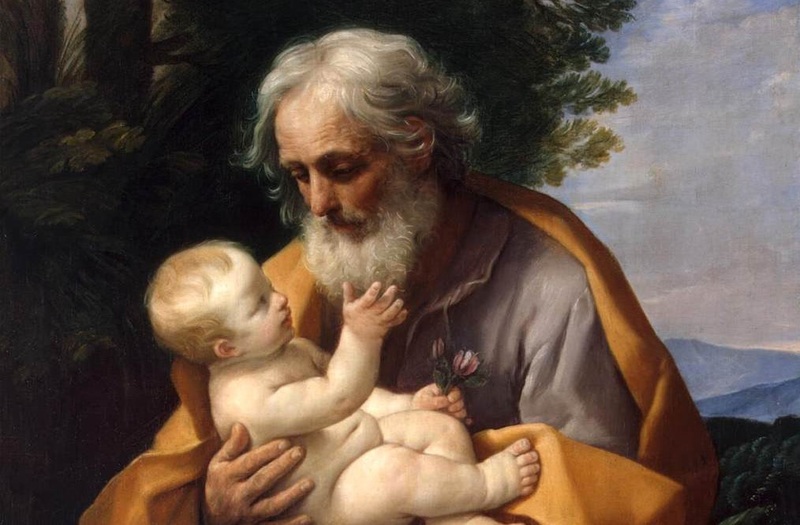 Saint Joseph was declared patron saint and protector of the universal Church by Pope Pius IX at the close of the First Vatican Council in 1870. He is also considered a spiritual model for families and Christian teaching frequently stresses his patience, persistence, and hard work as admirable qualities Christians should reflect upon and embrace. He is the patron saint of fathers, foster fathers, husbands, the unborn, working people in general and social justice. Peru. Many cities, towns, and other locations are named after Saint Joseph as well; and it has been noted that the Spanish form of Saint Joseph, San Jose, is the most common place name in the world. Neumann, a small individual at 5’2”, arrived in Manhattan in June 1836 and was ordained three weeks later for the Diocese of New York. His first assignment was to provide pastoral care for a German-speaking immigrant community whose members were clearing forests for a settlement near Niagara Falls. After four years of working alone, Neumann joined the Redemptorists (Congregation for the Most Holy Redeemer, C.SS.R. ), and took permanent vows in January 1842. Neumann spoke eight languages and became a popular preacher for many different immigrant communities in Pennsylvania, Maryland, New York and New Jersey. Eventually, he was elected to head the Redemptorists in the United States. John Nepomucene Neumann was born in Bohemia in 1811 and named by his parents after the patron saint of Bohemia. Neumann was known to be an exceptionally gifted seminarian, intellectually and spiritually. He studied at the University of Prague and traveled to the United States to be a missionary after his bishop decided to postpone ordinations due to an oversupply of priests in the diocese. In 1852 Neumann was appointed the fourth bishop of Philadelphia, a diocese that spanned the eastern half of Pennsylvania and the state of Delaware. As soon as he was ordained he embarked on an ambitious diocesan building campaign and was responsible for building over 100 parishes and 80 Catholic schools. He completed an unfinished cathedral and founded a new congregation of women, the Sisters of St. Francis of Philadelphia, to help staff the increasingly crowded schools. Neumann also wrote two German catechisms that were approved by the First Plenary Council of Baltimore, the first of three national meetings of United States Catholic bishops held in 1852 in Baltimore, Maryland. His Baltimore catechisms were translated into other languages and widely used in the United States for the remainder of the 19th century. On January 5, 1862, Bishop Neumann collapsed on a Philadelphia street and died. He was 48 years old. Philadelphia’s historical annals reveal that half the city’s population attended his funeral, including the mayor, police and fire brigades, military battalions and a number of civic and Catholic societies and benevolent organizations. He was buried under the altar of the lower church of the Redemptorist parish, St. Peter. His burial site quickly became a shrine, attracting thousands of pilgrims. 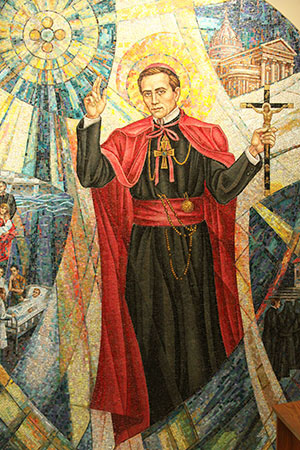 Saint John Nepomucene Neumann was canonized on June 17, 1977. His feast day is January 5. Stephen was a Greek-speaking Jew living in Jerusalem. He became a follower of Jesus Christ and was one of seven individuals chosen by the twelve apostles to serve tables, look after the distribution of the community funds (alms), especially to widows, and assist in the ministry of preaching. Stephen was also a leader in the Christian group known as the “Hellenists,” a community that had its own synagogues where the scriptures were read in Greek. The Hellenist Christians maintained that the new Christian faith could not grow unless it separated itself from Judaism and specifically the Temple and the Mosaic law. The Hellenists also urged the expansion of the Church’s mission to the Gentiles. The elders in a number of neighboring synagogues opposed Stephen and the Hellenists and charged him with blasphemy for saying that the Temple would be destroyed and that Jesus had set aside the Mosaic law even though Stephen maintained that Jesus came to fulfill the law, not set it aside. When dragged before the Sanhedrin, the supreme legal court of Jewish elders, Stephen made an eloquent defense of the Hellenist Christian teaching. He charged his accusers of trying to stifle the movement of the Holy Spirit, of persecuting those who spoke prophetically and of betraying and murdering Jesus. Then he looked up to heaven and began to describe a vision he was having of the recently executed Jesus standing on the right side of God. The council erupted into a furor and its members began shouting, covered their ears and ordered Stephen to be dragged outside the city and executed. As he was being stoned to death, Stephen asked God to forgive his attackers while the witnesses to his martyrdom placed their cloaks at the feet of Saul of Tarsus who consented to Stephen’s death. 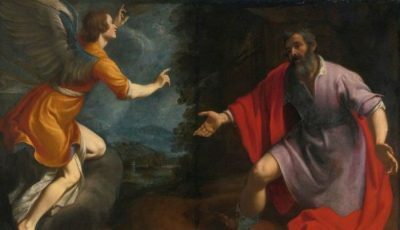 Saul would later undergo a conversion experience and become Saint Paul. Saint Stephen was one of the most popular saints in the Middle Ages and in many countries his feast day of December 26 is still a public holiday. He is the patron saint of deacons and his name is included in Eucharistic Prayer I of the Mass. Saint Albert the Great was a 13th-century German Dominican priest, considered one of the most extraordinary men of his age alongside Peter Lombard, Roger Bacon and Saint Thomas Aquinas. His stewardship of the intellectual life, his students and our life of faith is profound. Born in 1200, near Ulm, Albert was the eldest son of a powerful and wealthy German family. He was educated in the liberal arts at the University of Padua, Italy, and against his family’s wishes, joined the Dominican Order in 1223. He earned his doctorate at the University of Paris and taught theology with much success in a number of medieval German universities, including Cologne. For a time Albert was the pope’s personal theologian, and in 1260 was appointed bishop of Regensburg, Germany, against his will. He remained for only three years before returning his time and energy to teaching and writing in Cologne. He enhanced his reputation for humility by refusing to ride horses. Instead, he walked back and forth across his huge diocese, keeping with the rules of the Dominican order. Albert’s influence on scholars is substantial. His fame is due in part to being the forerunner, spiritual guide and teacher of Saint Thomas Aquinas. But he also composed an encyclopedia containing treatises on almost every branch of learning known at the time. His work fills thirty-eight volumes and covers subjects ranging from astronomy and chemistry to geography and philosophy. His knowledge of science was considerable, and for the age remarkably accurate. He also displayed an insight into nature and a knowledge of theology that surprised his contemporaries, who named him “Magnus” (“the Great”) to recognize his genius. Albert even inspired a mystical school of theology among fellow Dominicans such as Meister Eckhart. Albert participated in the Second Council of Lyons, France, in 1274, the fourteenth of the Catholic Church’s 21 great councils (Vatican II was the twenty-first). On his way to the council, he was shocked to learn of Aquinas’ death at age 49, and he publicly defended his former student against attacks on the Catholicity of his writings. After suffering from what is now thought to be Alzheimer’s disease, Albert died in Cologne on November 15, 1280. He was declared a Doctor of the Church in 1931, one of only 33 individuals bestowed that honor. His tomb is in the crypt of the Dominican church in Cologne, and his relics are in the Cologne Cathedral. His feast day is November 15. 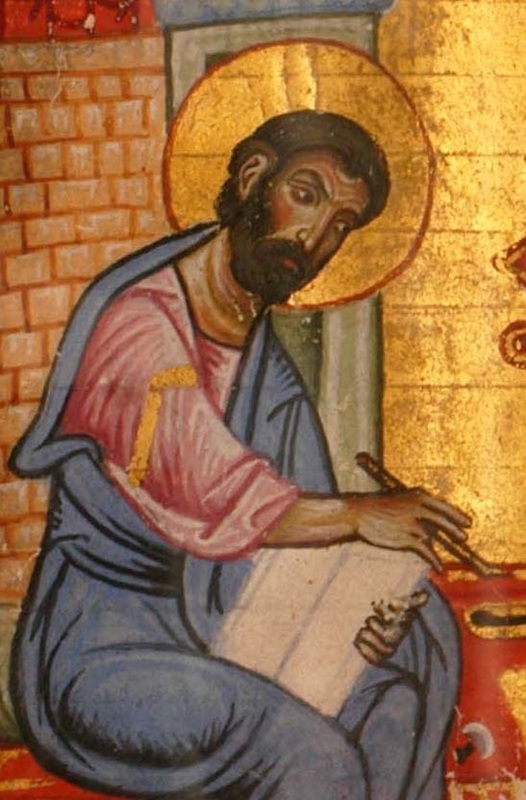 Luke is the author of the third Gospel and was a companion of Saint Paul. According to reliable tradition, he was a Syrian physician from Antioch who wrote his Gospel in Achaea (Greece). Both the Gospel and the Acts of the Apostles are attributed to Luke, because he appears to be the person intended by the first-person reference in Acts. The opening of Acts refers to the Gospel and is dedicated to the same person, Theophilus. The basic point of Luke’s New Testament writings is to emphasize the love and compassion of Jesus Christ. Luke also has an interest in the reality of poverty and reveals a deep concern for the poor, the outcast, and the underprivileged throughout the Gospel. Stewardship is a major theme in Luke’s Gospel. As a matter of fact, what emerges from Luke’s writings is a sophisticated theology of stewardship that is unique to his Gospel and not addressed so profoundly by other New Testament writers. Luke defines the duty and role of a steward as a unique sort of servant who is entrusted with material possessions by a master, takes charge of them and is required to use them prudently. Luke envisions the steward as not having any possessions or property of his own, but as taking care of his master’s property and wealth until the master summons him to turn in an account of his stewardship. There is a finiteness to stewardship. According to Luke, a steward carries out his responsibilities with alertness, knowing that the master’s return may come at any time. And depending on the quality of his stewardship, there is the anticipation of a reward as a result of his stewardship. Luke believes stewards are not just a chosen or appointed few. Stewardship is the responsibility of all Christian disciples. Luke takes his basic ideas of stewardship and applies them to the motif of material possessions as well, instructing his readers on the right use of wealth and the wrong use of wealth. Finally, Luke’s concept of almsgiving, based on his theology of stewardship, was unique and radical at the time of his writing. Almsgiving was considered an obligation of Christian disciples; imperative inside and outside the community. Luke enjoined his readers to look upon the poor with genuine sympathy and urged those with material resources to remember their identity as stewards, to distribute their wealth to the poor as alms, and to give up ownership of their own material possessions. Luke is the patron saint of physicians, artists and butchers. His feast day is October 18. The feast day of Saint Vincent de Paul is September 27, the date of his passing in 1660. He was the founder of the Vincentians and the Sisters of Charity, and is the patron saint of all charitable organizations. Born in 1581 to a peasant family in southwestern France, Vincent studied for the priesthood at a local Franciscan college and then at Toulouse University. He was ordained a priest at the age of nineteen. Little is truly known of Vincent’s early life in the priesthood except that he spent a year in Rome, perhaps studying. In 1612 he became a parish priest in a village just north of Paris and the following year became a tutor in the household of the wealthy and politically powerful Gondi family. He remained with the family for the next 12 years and spent some time as a parish priest where he attended to the needs of the sick and the poor in his parish. In 1617 he formed a group of women who ministered to the needs of these families. He established similar groups in other villages. Around the year 1618 Vincent came to know Saint Francis de Sales, whose writings, especially the Introduction to the Devout Life, had a strong influence on him. That same year Vincent established a society of priests, sometimes referred to as “Vincentians,” who with the financial support of Madame Gondi, would go from village to village on the Gondi estates to preach to the peasants and conduct missions. The mission work became so successful that with the approval of the archbishop of Paris and continued financial support of the Gondis, the group established a base in Paris and their community continued to grow along with their ministry. Meanwhile the women’s groups started to multiply. In 1633 Vincent began offering formal religious formation for this new group, called the Daughters of Charity. A new order of women religious was born that ministered in hospitals, orphanages, prisons and many other places. The order was formally approved by the Church in 1668. At Vincent’s funeral the presiding bishop said that he had “changed the face of the Church.” He was canonized in 1737. In 1833, Blessed Antoine Frederic Ozanam would found the Society of Saint Vincent de Paul. In 1885 Pope Leo XIII named St. Vincent de Paul universal patron of all works of charity. Lydia is the first recorded person in Europe to become a follower of Jesus Christ. She was Saint Paul’s first baptized convert at Philippi. What we know of Lydia is found in the Acts of the Apostles. She was from Thyatira, an industrial center located in what is now western Turkey. She was a wealthy business woman; a manufacturer and seller of purple dyes and fabrics for which the city of Thyatira was noted. Lydia was part of a high value industry. Purple goods were luxury items, used by emperors, high government officials, and priests of the pagan religions. At the time of the narrative in Acts, Lydia and her household had moved to the city of Philippi, a Roman colony on the Rome-to-Asia trade route. This is where she had her first encounter with Paul on his second missionary journey about the year 50. While visiting Philippi for the first time, Paul and his party came upon Lydia and a group of women gathered by the river that ran through the city center. He sat down and shared the gospel with them. Lydia listened intently, took the gospel message to heart, and she and her family were then baptized in the river. Lydia insisted on providing hospitality to Paul and his companions, so they made their home with her while in Philippi. She continued to help them even after they were jailed and released. As a successful businesswoman, her home would have been spacious enough to welcome guests and to become a place for community gatherings and liturgies. Paul cherished the members of the Christian community at Philippi and called them his “joy and crown.” Undoubtedly, Lydia’s generous hospitality and leadership in the founding of this early Christian community contributed to Paul’s affection. Saint Lydia’s feast day is August 3. Saint Benedict, the father of Western monasticism, is considered a model of Christian stewardship. He authored the famous Rule of St. Benedict, a handbook of daily Christian living that emphasizes exercising stewardship over prayer, work, and community. Born in central Italy in the town of Nursia around 480, Benedict studied in Rome as a young man. He was so distressed by the chaos and incivility he found there that he left the city and traveled to Subiaco, Italy to become a hermit. He soon attracted followers who wanted to join him in his simple way of living; imitating his style of prayer and work while respecting the rhythms of the day. Benedict stayed there for 25 years before taking a small group of his monks to Monte Cassino, near Naples, where he wrote the final version of his Rule. The Rule of St. Benedict started a simple, spiritual tradition that exists to this day. It was meant to “…establish a school for the Lord’s service.” It is a set of Christian principles around which the members of the community were to organize their daily lives, focusing on the most important Christian values that would direct their daily actions and help them cultivate habits that would ensure good stewardship of their physical, emotional and spiritual well-being. “Let all guests who arrive be received like Christ, for he is going to say: ‘I was a stranger and you welcomed me (Mt. 25:35).’ ‘And to all let due honor be shown, especially to those who share our faith’ (Gal. 6:10) and to pilgrims…In welcoming the poor and pilgrims the greatest care and solicitude should be shown, because it is especially in them that Christ is received” (Rule of St. Benedict 53:1-2, 15). 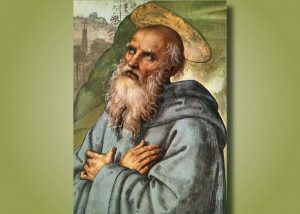 The Rule of St. Benedict was meant to stand on the shoulders of the Gospels and many spiritual writers throughout the ages attest to its transforming power to change lives. It teaches the principles of stewardship, shows one how to live in a way that is uniquely countercultural and invites its adherents to enter into a deeper and more joyful relationship with the Lord. St. Benedict died in approximately 550. He is the patron saint of monks and farm workers. In 1964 Pope Paul VI declared him to be the patron saint of Europe. His feast day is July 11.